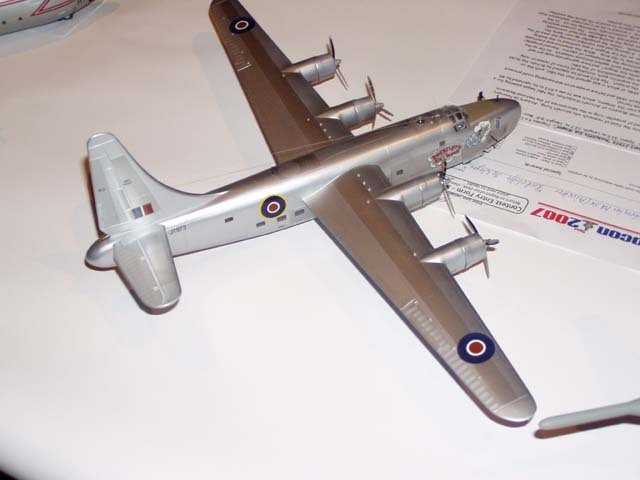 Canada was quick to get into the field of research into Aircraft Icing. As early as February 1935, research had been initiated on propeller icing in the laboratories of the National Research Council in Ottawa. 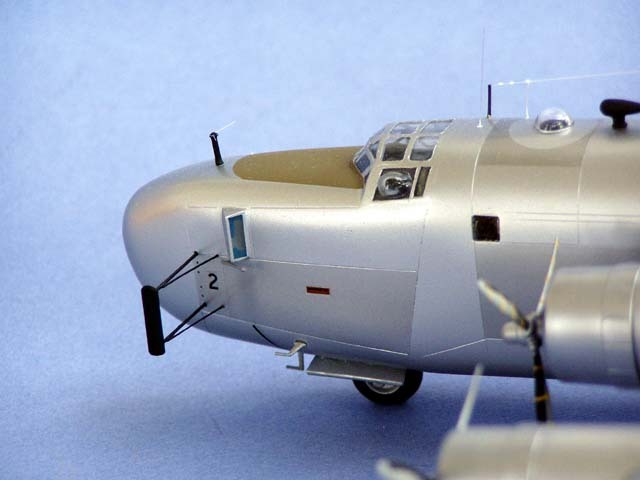 In 1944, at the request of the British Ministry of Aircraft Production, the NRC began planning for a project involving the study of icing over the Atlantic, which was to use a RY3 Liberator Mk.IX to be operated by 45. 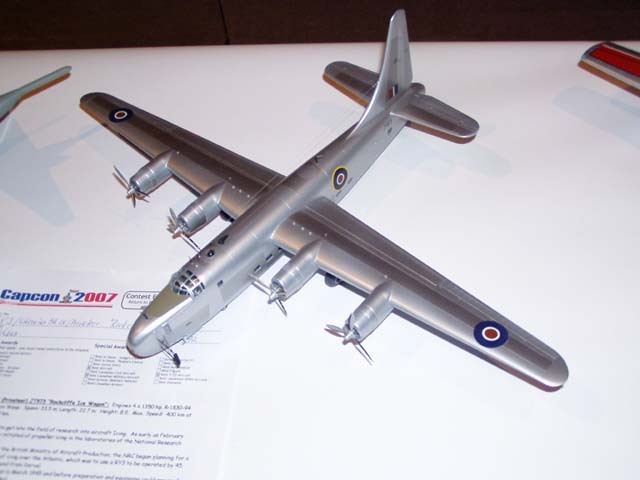 Group, RAF Transport Command from Dorval. The first RY3 arrived in Dorval in March 1945 and before preparation and equipping could proceed very far, 45 Group was disbanded. Following a conference on January 11. 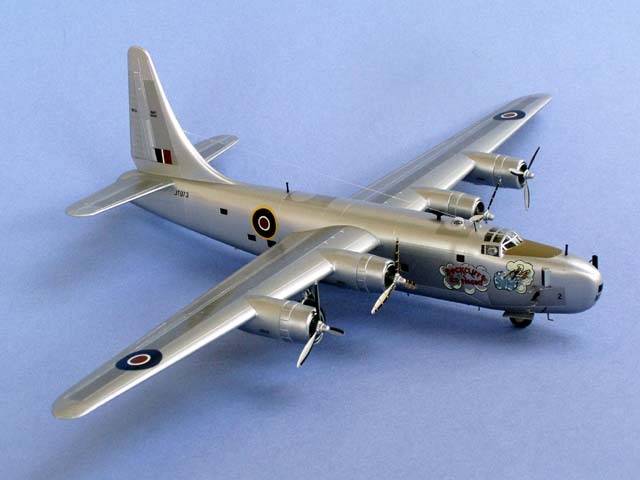 1946, at which it was agreed that the NRC, with the co-operation of the RCAF, would continue the project. 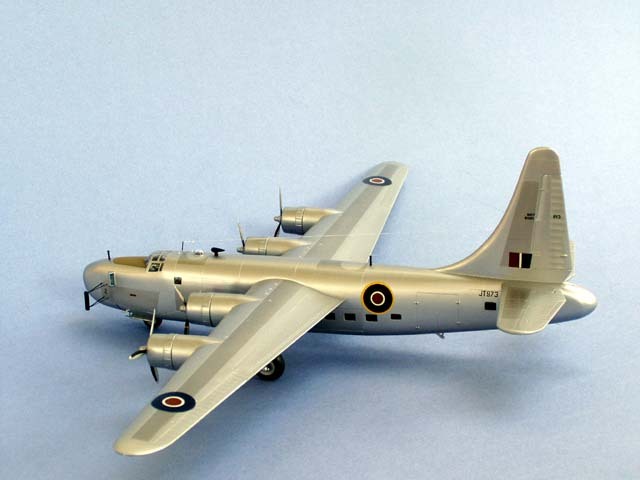 A RY3 Liberator Mk.IX would be supplied by Britain, the RCAF would maintain and fly the aircraft. The NRC was responsible for the scientific work in all forms of icing conditions and of developing countermeasures. 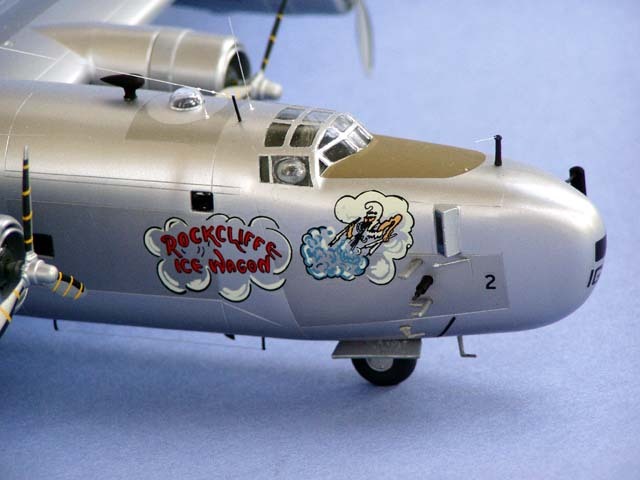 JT973 was quickly christened “The Rockcliffe Ice Wagon”, and bore appropriate nose art and markings. It was soon fully equipped to undertake both applied and pure research. As far as the former was concerned, in addition to the continuing the development of electro- thermal propeller de-icing the main task was to extend this principle to the wing. While the intention was eventually to cover with this system the entire wing leading edge, on the Ice Wagon it was confined to the leading edge between the fuselage and inboard engine. A heating pad was installed covering the area of the wing were the de-icer boot would have been normally located. Unlike the propeller de-icer, were the electric current was constant, only a thin element along the leading edge was kept continually heated. This caused a thin film of water to form and break the adhesion. The current would be cycled through the other heating elements in the wing, consecutively, removing the ice. In the event, while this system was developed satisfactorily, it proved to be of a narrower application than had been hoped as modern jets use their performance capacity to avoid or fly above the weather. Still, the CF-100 all weather fighter among others used this system.